Restore natural teeth that are chipped, discolored, cracked, crooked or stained, with porcelain veneers from our comprehensive dentistry practice in Gainesville. Dental veneers are a relatively effortless, painless, and quick way to improve both the appearance and function of your smile. At Comprehensive Dental Care, our dental veneers are custom-made for each patient and meant to last a lifetime. Contact us for more information about our restorative dentistry services and procedures or to schedule an appointment for dental care. A dental veneer is a durable and natural-looking dental appliance that corrects cosmetic dental issues, such as discoloration, small gaps, chipped teeth, or minor misalignments. These convenient dental appliances perfect a smile in no time with the ability to instantly lengthen, enlarge, and straighten teeth. Dental veneers resist staining, stabilize the gum tissues, restore edges of teeth, and renew old dental work. 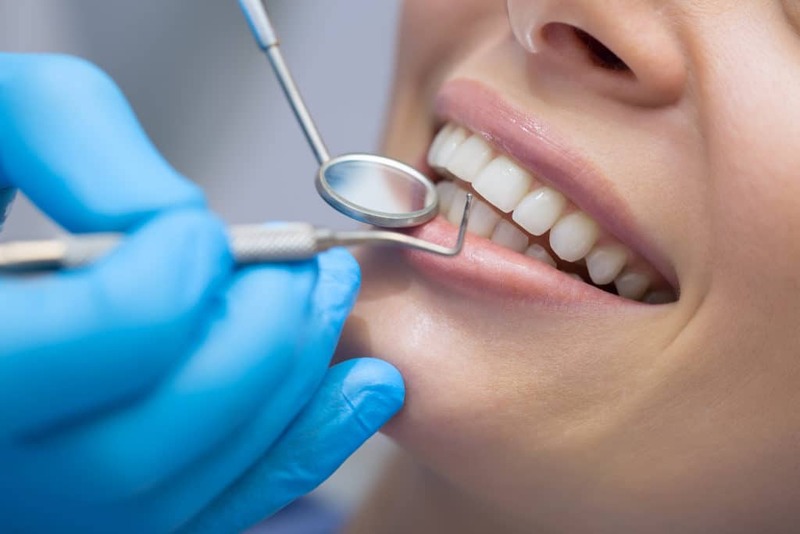 With our custom-made dental veneers, patients are able to improve the look of their smile while enjoying the comfort and durability of a custom-fitted appliance that is nearly indistinguishable from natural teeth. Veneers are made from either porcelain or composite resin material. While porcelain veneers are typically more stain-resistant than resin veneers, the resin composite material requires less of the original tooth be removed to implant. Your Florida DMD will help you choose the material that is best for your lifestyle preferences and oral needs. Contact us today to schedule your consultation for dental veneers in Gainesville, FL. A porcelain veneer is a thin shell that is custom-made to fit on top of the patient’s natural tooth. Dental veneers made from porcelain are durable and long-lasting; they have a natural appearance; they do not stain easily; and they require removal of less tooth enamel than with dental crowns. While porcelain veneers may be more costly than other types of dental veneers, they are the primary choice for dental veneers among our patients. Resin dental veneers are made from tooth-colored filling material, which is bonded to the tooth. In contrast with porcelain dental veneers, resin dental veneers are cheaper; they are easy to fix if damage occurs; and they require removal of less tooth enamel than dental crowns. However, resin composite veneers are less stain resistance and less durable than porcelain veneers. Which Dental Issues Can Veneers Fix? Dental veneers are an ideal solution for solving a number of different types of dental problems. As with natural teeth, establishing and maintaining an effective oral care routine is essential for maintaining the health, look, and longevity of your dental veneers. Dental veneers are comprised of durable materials that are made to last. However, patients with porcelain and/or resin composite veneers should avoid any extreme pressure or force to the teeth to avoid damaging the veneers. Patients should avoid biting their fingernails and chewing on hard objects, such as pencils or ice. In addition, patients should floss and brush their teeth at least twice daily to avoid the development of cavities and decay around the teeth and veneers. To find out if dental veneers are the best option for restoring your smile, contact our office today. We will help you achieve a smile you will be proud of.